Time is running out! 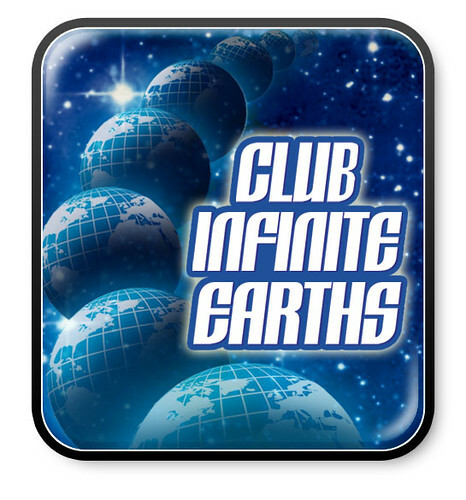 Give Club Infinite Earths a chance! This is just a final plug to encourage fans of DC Comics characters and related toys to consider signing up for the Club Infinite Earths DC Universe Classic Subscription and save the DCUC line! There are many valid reservations and criticisms of the approach Mattel has taken to this project. I've read them all and I understand them. 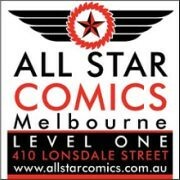 Could the selection of figures currently announced be better, especially for classic comics fans? Yes. Is it a big ask to sign up without knowing what direction the line is going to take? Yes. Could the whole thing have been handled better? Certainly. For me, though, it comes down to this: I love the DC Universe. I love the glimpses that Mattel has given us into toy versions of the classic DC Universe, and Mattel has made it clear that if we want that to continue, Club Infinite Earths is the way to do it. Obviously this would be an easier pill to swallow if we knew that characters to complete the Doom Patrol and Metal Man were on the way, but we have been told that if we want these characters, this is the only way we'll see them. I am prepared to put some faith in the Four Horseman and take a punt on this line. Masters of the Universe fans will know the nooks and crannies of the MOTU Universe that Club Eternia has allowed Mattel to explore, and the DCU is such a bigger world - the possibilities are endless! One of the silliest arguments I have heard against the sub is along the lines of "DCUC won't go away forever. There will always be DC Action Figure lines." Sure, but if DCUC dies, do we really expect to see characters like Mento or Platinum in the first waves of whatever ultimately takes it's place? I don't think so. DCUC remains the best chance to see these characters come to life and finally complete these teams. There are plenty of great articles out there with examples of what we could see and why the sub needs to go ahead - click here for a great article from VeeBee at the Fwoosh as an example. The sign up closes very soon depending on your time zone. Click here to buy your subscription and give Mattel and the Four Horsemen a chance to run wild with the DC Universe! Have you signed up? Have something to say? Comment on this post to enter the August AFB Comment of the Month Contest! I signed up for the subscription for a few reasons. First, I want the line to continue. Second, I will not miss a chance to possibly get a DC Classics Mera, Ocean Master, Shining Knight, Felix Faust, Queen Bee or Ambush Bug(my bet on the exclusive figure by the way). Third, If it is a figure I really have no investment in, it will be put up for sale to hopefully recoup part of my investment in the line. I know these may not sound like great reasons, but they're mine. If you are on the fence about this subscription...give it a try. I've signed up. What's gonna kill this are the people who don't sign up, but would have cherry picked the releases from MattyCollector each month.